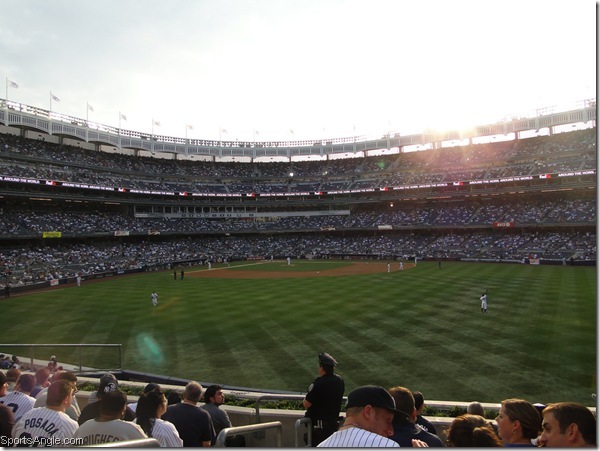 After being impressed with Yankee Stadium during the Cotto-Foreman fight last week, I wanted to see it for its designed purpose: a baseball game. So I made my way to the Bronx for my first Yankees game at the new Stadium in a World Series rematch against the Phillies on Wednesday. You can sell the experience, but you canÃ¢â‚¬â„¢t control the outcome of the game. 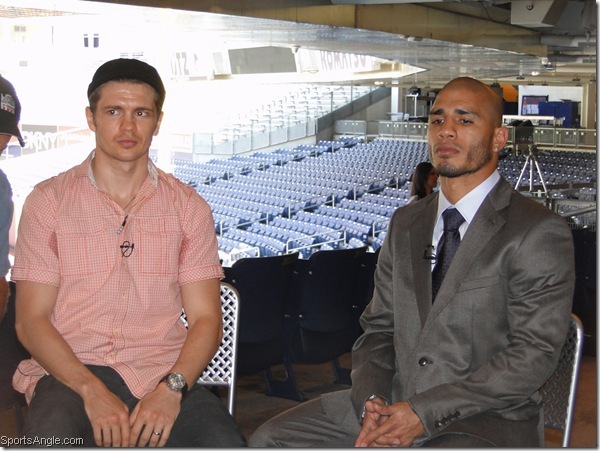 Thought IÃ¢â‚¬â„¢d share some of my favorite pictures from the run-up to Yuri Foreman vs. Miguel Cotto at Yankee Stadium tonight. Feel free to use any of them for whatever youÃ¢â‚¬â„¢d like, but please credit SportsAngle.com. 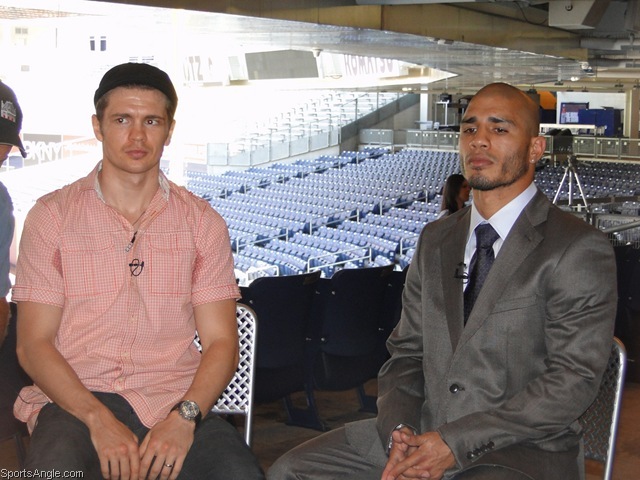 I havenÃ¢â‚¬â„¢t been around here as much IÃ¢â‚¬â„¢d like to be lately, though that will change Ã¢â‚¬â€œ my day job has taken up a slight bit more of my time given that IÃ¢â‚¬â„¢ve been covering the events leading up to tonightÃ¢â‚¬â„¢s Yuri Foreman-Miguel Cotto fight at Yankee Stadium, which has been great. 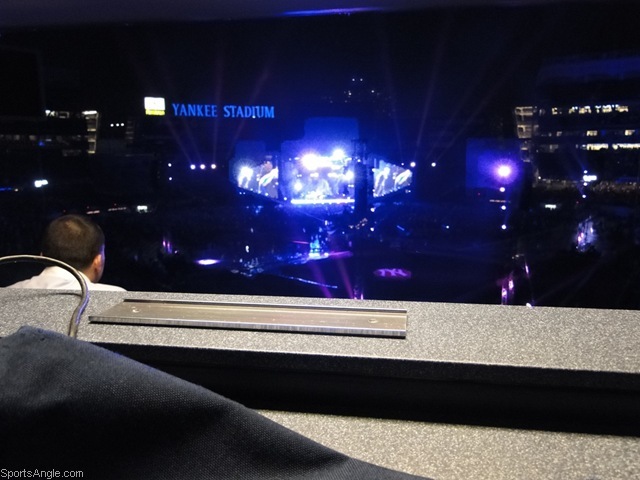 EditorÃ¢â‚¬â„¢s note: The same week RjE went to the Stadium and shared his thoughts, the Yankees planned to host the folks from Camp Sundown for a wonderful sleepover event. SportsAngle is a huge advocate of the cause and the event Ã¢â‚¬â€œ for more info on Camp Sundown, check out their site and feel free to make a donation. 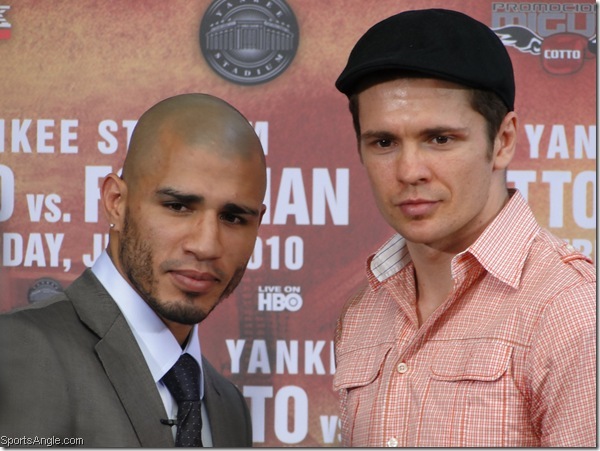 Monday Night, 7/20/09, The Bronx. IÃ¢â‚¬â„¢ve spent the last year hearing about how amazing the new Yankee Stadium is, and how I had to get out there to experience the difference. On this site, our resident commentator, Esoteric, referred to it in a tongue-in-cheek fashion as an Ã¢â‚¬Å“Ode to Excess.Ã¢â‚¬Â (AuthorÃ¢â‚¬â„¢s Note I: I refuse to believe the words of someone who bills themselves as Ã¢â‚¬Å“EsotericÃ¢â‚¬Â). Being that the Orioles were in town, I decided that there wasnÃ¢â‚¬â„¢t a better time than right now to sit through nine innings of torture (AuthorÃ¢â‚¬â„¢s Note II: I am a long-time suffering OÃ¢â‚¬â„¢s fan). Ã¢â‚¬Â¢ Thanks to a family friend, my fiancÃƒÂ© (Kelly) was able to score incredible seats 13 rows behind home plate, down in Kate Hudson territory. The face value on my ticket was $ 325. I only need to ask one questionÃ¢â‚¬Â¦ What recession? Ã¢â‚¬Â¢ We parked at one of the River Street garage lots. $19 for Event Parking. In this horribly dank, musty lot, three fans were pounding down cheap beer and listening to Metallica. Yep, sounds about right. 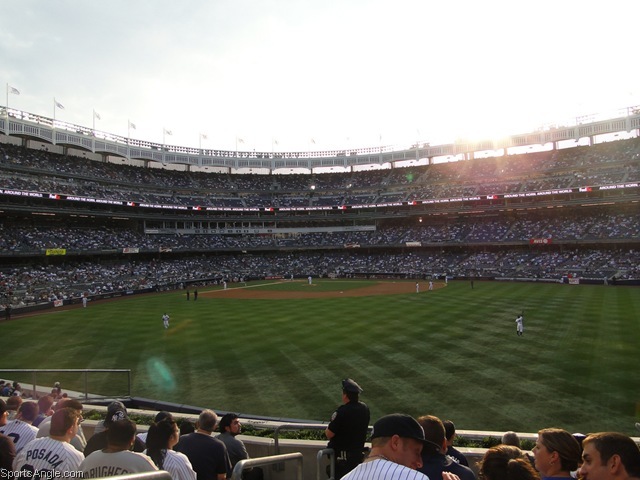 Ã¢â‚¬Â¢ We walked around the exterior of the stadium, noticing how out-of-place the stadium felt right in the middle of the Bronx. Walking by a sea of cheap-o-marts and dollar stores into this posh, billion-dollar facility was surreal. Ã¢â‚¬Â¢ Kelly decided to wear her Mariano Rivera jersey to the game, while I decided to sport an Orange-and-Black OÃ¢â‚¬â„¢s jersey with no name or jersey number on the back (AuthorÃ¢â‚¬â„¢s Note III: There is no point in getting an Orioles player’s jersey, as they will be gone from the team once their rookie deal expires). Ã¢â‚¬Â¢ We meet up with some friends and enter the Stadium. We are not patted down, and security is more relaxed than I expected. Ã¢â‚¬Â¢ We walk around the interior, and right away, it felt like a cross between Citizens Bank Park and the old Stadium. It also felt smaller, and cleaner.